Civic innovation laboratories: What are they and what purpose do they serve? Many existing institutions will operate differently in 20 years. Indeed, many of them do not exist yet. The days are numbered for institutions with closed processes, designs that are not human centered and protocols without place for experimentation. There are already new institutional models that are more interactive and innovative. Civic innovation laboratories are perhaps the best example of these new institutions we are heading to. These laboratories differ from other institutions in three aspects: collaboration, knowledge-sharing and experimentation. One would be hard-pressed to find existing institutions that carry these features in their DNA. How many institutions do you know that truly encourage collaboration instead of competition (and related actions such as awards, etc. ); knowledge-sharing instead of knowledge hoarding to be more competitive; or experimenting with new possibilities, where trial and error are a natural and highly valued part of your job? Indeed, only a few do so, and even fewer combine these three features. The three aforementioned aspects, coupled with a fourth, further distance these laboratories from the institutional reality of the 20th century. Civic laboratories are necessarily open spaces. That is, anyone can participate in them regardless of their academic qualifications, experience or background. They are civic spaces. They are spaces (institutions) where any citizen can participate to collaborate and share knowledge, ideas and experiences with others in order to create projects in which one can experiment with new solutions and proposals to improve situations of the most diverse kind. These projects focus on different topics, including transparency, public participation, technological solutions to specific problems, improvements in social, ethnic or cultural issues, urban planning, ecology, etc. That is, any area in which a society, city or community can improve the lives of its inhabitants. What is interesting about these institutions is that they are driven directly by the citizens that participate in them. Indeed, these spaces are used not just to test projects, but also to test constantly the space itself, i.e. it must be able to adapt rapidly, learn from mistakes and test new models, different forms of management, etc. Several laboratories have been established in recent years by governments, universities and/or civil society. SEGIB’s Civic Innovation Project supports the creation of these laboratories in several Iberoamerican countries. 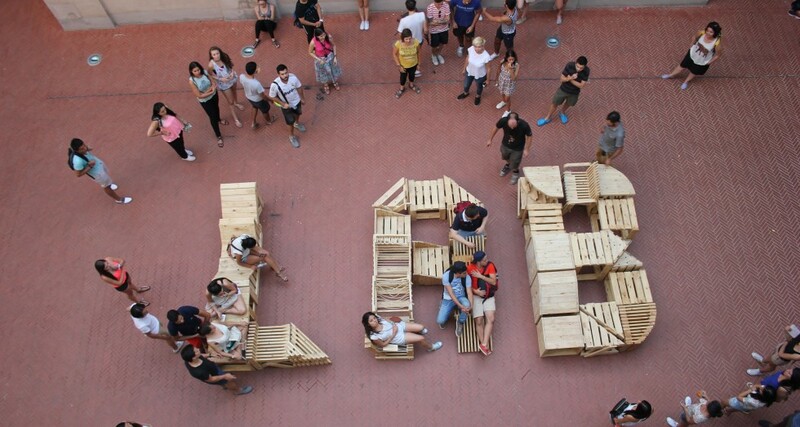 We also organize LABIC (Spanish acronym for civic innovation laboratory), an annual 15-day event in which a laboratory is set up in one Iberoamerican country. As part of this event, we launch a call for projects in which citizens work collaboratively on citizen-oriented proposals and solutions. LABICMX took place in 2014 at Veracruz (Mexico), LABICBR was held in 2015 at Rio de Janeiro (Brazil), and LABICCO*, the 3rd edition, will take place at Cartagena (Colombia) in 2016. It will bring together 120 people from 60 cities of 16 countries working on 11 projects on inclusion and accessibility for vulnerable populations. Cartagena will showcase collaborative, innovative, open and people-centered spaces that will challenge us to rethink our institutions and leverage the most valuable asset in our society: its citizens.